A HUSBAND and his wife were killed when they were gunned down by two men on a motorcycle past 11 p.m. last Sunday, April 14. One of the victims’ bags was taken by the gunman, which led police to initially believe the motive for the shooting was robbery. However, Mandaue City Police Office (MCPO) Director Julian Entoma said the couple was on their drug watchlist. The attack was captured by closed-circuit TV (CCTV) cameras mounted by the Mandaue City Command Center. The victims were identified as Michael, 27, and Fraldine Kate Ramayla Canes, 24. They resided in Purok Lemonsito, Barangay Umapad, Mandaue City. The CCTV footage showed Michael driving a motorcycle with his wife and their daughter as his passengers. They stopped at the stop light on A.C. Cortes Ave., corner S.B. Cabahug St., in Barangay Ibabao. While waiting for the light to turn green, two men on a motorcycle stopped next to them. The passenger shot Michael then alighted and shot Fraldine. He then grabbed her sling bag and then shot her again. According to Police Major Aldrin Villacampa, head of the Centro Police Station, the couple’s daughter pretended to be dead so the gunman ignored her. Based on initial investigation, it was possible the killers had been following the couple since they left their house. Neighbors told police they noticed two men with their faces covered loitering in the area. The Canes were in the ready-to-wear (RTW) business involving overruns inside a mall in Mandaue City. Last Sunday night, the couple had gone to the Cebu North Bus Terminal to deliver RTW bound for Bantayan Island. They were on their way home when the attack happened. Police are investigating if the couple’s business had anything to do with their deaths and are eying murder-robbery as one of the motives. They will also look into the arrest of Michael’s father for illegal drugs to determine if this had anything to do with the incident. “It’s possible the couple was followed because their neighbors said they noticed men with their faces covered hanging out in the neighborhood last Sunday. The killers might have tailed the couple and waited for the right time to kill them. 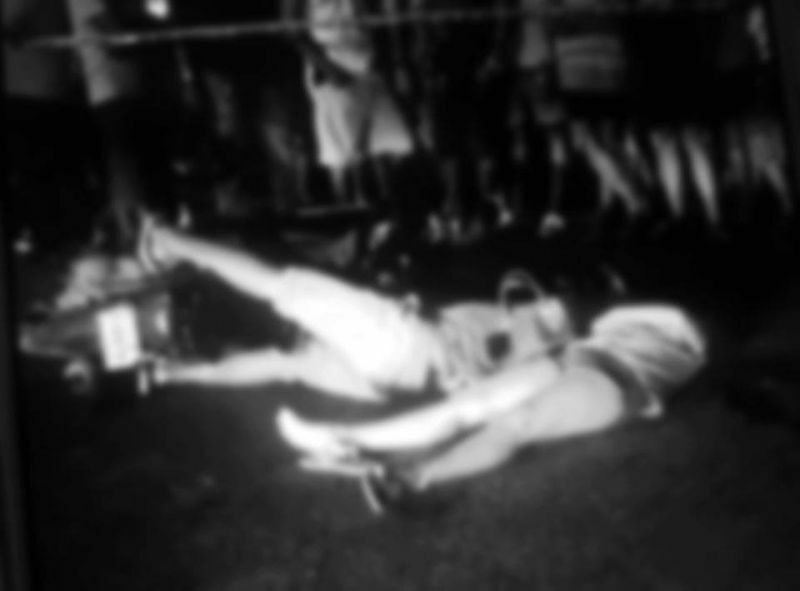 We’re looking at the incident as a murder-robbery because the CCTV footage showed the gunman shooting the wife and then grabbing her sling bag,” Villacampa told Superbalita Cebu in Cebuano. MCPO Director Entoma, though, disclosed that the Caneses were also on their drug watchlist. He said the couple was linked to suspected drug queen Joy Encila, who was arrested last March 3 in Consolacion. “We are now investigating the Station 1 investigator’s theory that the motive is robbery. However, both victims were included on our drug watch list and were linked to Joy Encila’s drug group. Michael’s alias was “Boss” while Fraldane’s alias was “Madame.” Hence the motive is not just robbery but murder and the killers robbed the victims after shooting them as they got the bag containing the victims’ money. No identified suspects yet,” said Entoma in a text message to Superbalita Cebu. However, a source who asked not to be named told SunStar Cebu that the couple was never involved in the illegal drug trade. They were plain businessmen.